Ubisoft has released a new behind-the-scenes video that includes new gameplay footage of its first two virtual reality games: Eagle Flight, and Werewolves Within. 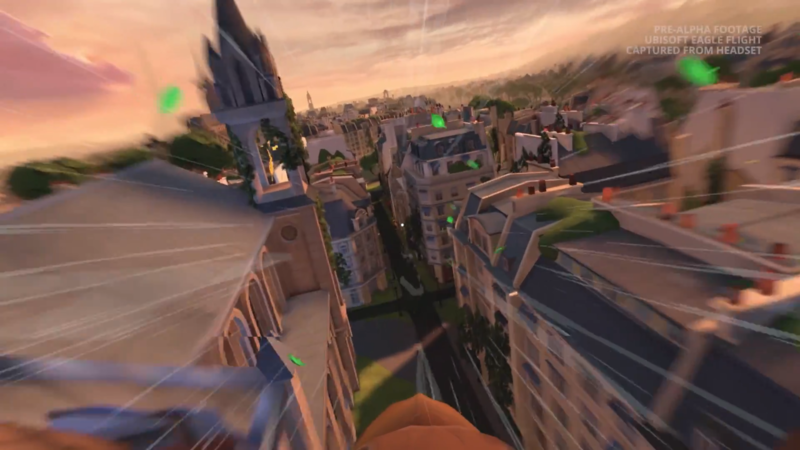 Eagle Flight sees you take control of an eagle from a first-person perspective and soar above the streets and crumbling buildings of an abandoned, post-apocalyptic Paris. You can engage in open-world missions, as well as competitive multiplayer battles. You control your eagle by tilting your head in the direction you want to fly. 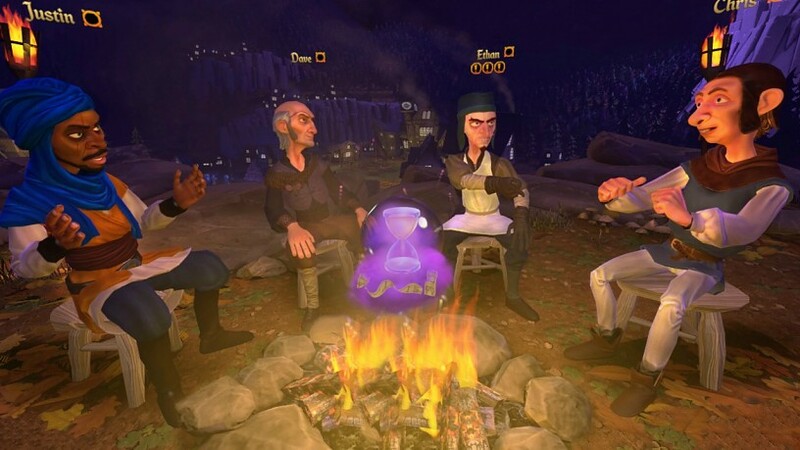 Werewolves Within is a seated, multiplayer party game experience. A bunch of characters from a medieval village gather around a table to try and find out which character is secretly a werewolf in disguise. Players can whisper to each other to pass on clues, or stand up and make accusations to try and deflect suspicion. Both Eagle Flight and Werewolves Within will be released for VR headsets sometime in 2016. Ubisoft also mentions that these two games are "just the beginning" of what the company has planned for the virtual reality space.